WASHINGTON COUNTY – Serving on the police force in Washington County can have its risky moments, not only for people, but also for the members of the K-9 division, prompting a local fundraising effort aimed at seeing all Washington County police dogs adequately equipped with the lifesaving bulletproof vests they need. K-9 officers often face greater risks than human officers as they are sent in ahead of their human counterparts to apprehend suspects or investigate dangerous situations to protect their handlers and the community. “Dogs employed in law enforcement K-9 units risk their lives on a daily basis, often without the proper protective equipment such as vests afforded their human counterparts,” Kris Neal with One More Chance Animal Rescue said. Dogs don’t have the same defenses that people do, so when a K-9 has a suspect’s arm or leg in its mouth, the K-9 is particularly vulnerable to knife attacks as well as shootings. 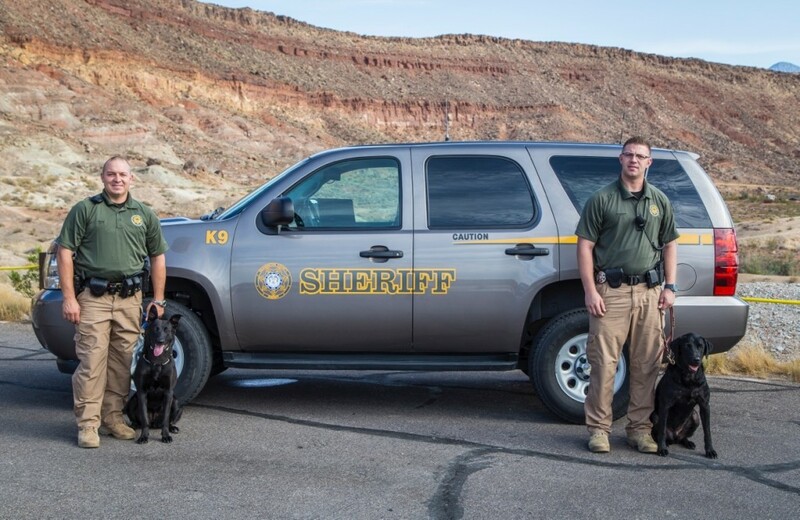 Vest Dixie’s K-9’s is dedicated to providing bullet and stab proof vests for the K-9 officers in Utah’s Dixie. This very important project will, no doubt, save the lives of our area’s K-9 officers, Neal said. The K-9 vests are made with DuPont Kevlar, which is the same material that human officers wear and also undergoes the same testing criteria. The cost of each vest can vary due to differences in quality, material, protection level and weight, but most run around $1,000. As of Monday morning, the Vests for Police Dogs fundraiser has raised $478 of its $10,000 goal. 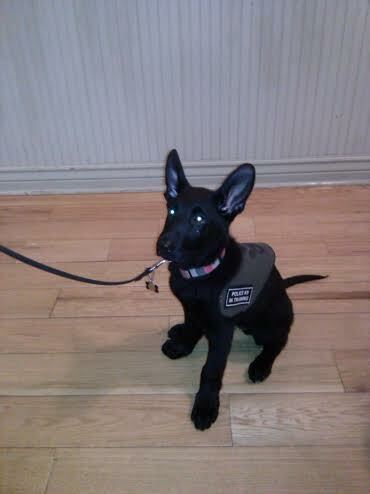 Vest a K-9 is set up as a 501(c)3 nonprofit, Williams said, so all donations are tax-deductible. Paige, a 3-year-old Belgium Malinois female, joined the Hurricane City Police Department in July and began training in narcotic detection and criminal apprehension. “We recently started our K-9 Program in Hurricane and the costs are very expensive to establish a good and effective program,” Hurricane City Police Sgt. Brandon Buell said. “The most important part of the program is our dog, Paige. She is an amazing dog and her health and well-being are our top priority. Buell said the cost of taking care of Paige is substantial and the Police Department looks to fundraisers and donations to help with this. Paige has already completed the narcotics certification and is currently completing the patrol dog certification, Buell said. Though she has been spending most of her time in training, she has already proven to be a benefit to the community. 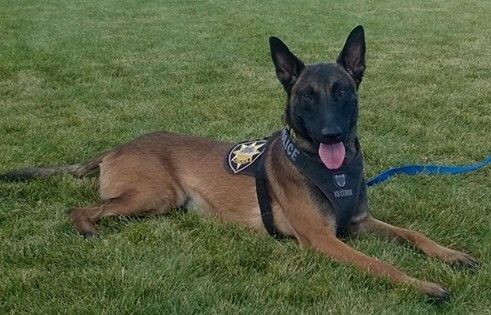 Rambo, a 1-year-old male Belgian Malinois, joined the St. George Police Department in September after completing his initial training with Havoc K-9 volunteer Joel Collin. Rambo works as a dual purpose police dog, which includes narcotic detection and patrol. St. George Police Sgt. Sam Despain said he is familiar with the Vest a Police K-9 fundraiser and said his department thinks it’s great that there are people who want to help out and assist law enforcement. “This is absolutely a benefit to the police department,” he said. “Anything that increases the safety of our officers is always appreciated. The Washington County Sheriff’s Office also implemented a new K-9 program. The program was first introduced in the Corrections Division in March. Eni, a black Lab, works as the Corrections K-9. 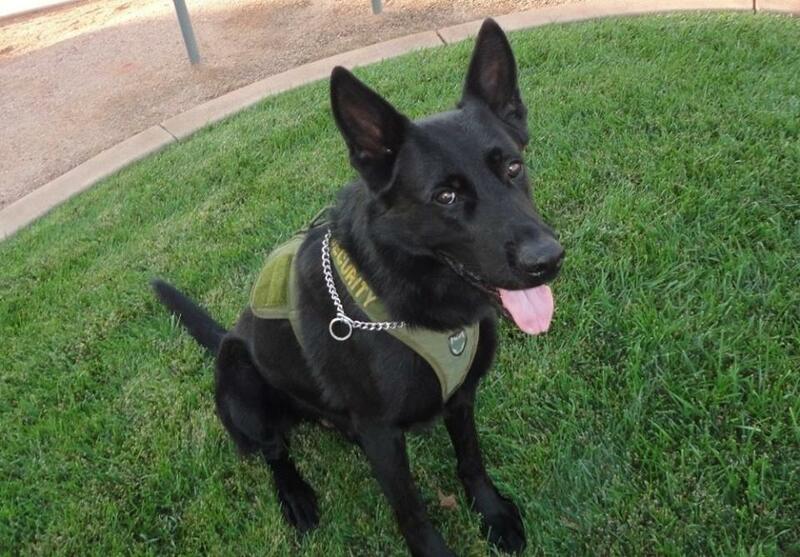 Eni graduated from Utah POST’s K-9 Academy and is certified for the detection of narcotics. The K-9 unit quickly expanded to a two-dog program with the introduction of Tess to the Patrol Division. 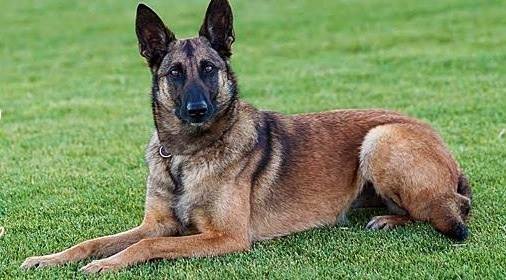 Tess, a Belgium Malinois, will soon be certified in both narcotics detection and patrol work. 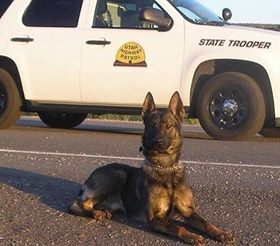 In June 2015, Vinnie, a black German Shepherd, will be donated to the Washington County Sheriff’s Office by Havoc K9. Great American Dog! Black Lassie. She was born in the Detroit ghetto during the riots of ’65. Her daddy was a big fat alley rat, but he could lick a dog twice his size. Her mama was a A long legged Afghan who came from the high class part of town. But late at night, when the moon got bright, her and the rat really went to town. Beautiful dogs and a must needed part of police work. Where are Wa, City PD Ofcr. Finona and his partner Hunter? Two very nice people! SAN ~ Before starting this project, research was done to find all of the working dogs in Washington County, so we could make sure all of them got this vest. Officer Josh Finona was called & spoken to by our group, and he told us that his partner, Hunter, already has a bullet/stab proof vest that he wears. That’s the only reason Hunter is not included in our project. He’s safe already. (Same goes for Buster, the K-9 unit for the Washington County Drug Task Force. Buster also wears a protective vest, so he also was not included in this project). Thank you for checking on Hunter though! These dogs cost a department a whole lot of money. Training of both dog and handler, man hours involved with them in keeping them happy and healthy and ready to play (work,) specialized equipment for them. It seems to me that part of the budget for these dogs, should include protective vests. I think it is great that they are able to get donations to help offset the costs of these 4 legged “officers.” But I also think it is just plain negligence on the part of the department administrators to not make sure they are equipped with vests. Come on admins, get your act together here! I totally agree with My Evil Twin. If departments are going to spend $10,000+ on these beautiful intelligent animals the budget should automatically include the cost of a vest. I liken it to sending a police officer out to do his job without any protection….vest or gun.If the departments can’t afford to provide vests for the dog From the get go then don’t get the dog or perhaps the thinking process is they are expendible. Koolaid once again proves he is a total one of a kind female hygiene product. And you once again prove you are gay for KOOLAID. When a drug bust is conducted, and a large sum of money is discovered, isn’t that money confiscated by the police? Can this money be used for this purpose? Just curios about what happens when hundreds of thousands of dollars are seized and what happens to it. Also, the vehicles used by thugs for running drugs? Unfortunately, the Utah legislators made this a predicament about 10 yrs ago. When local law gets a large drug bust, taking the drug dealer’s money away to fight the drug war, they have to apply for a grant to bring the money back for local enforcement. Specifically, if the charges are filed at state level, they may get 30% back locally if they apply for a competitive grant. Due to legislation 70% of local seizure funds go towards education. This has caused most local agencies to quit being proactive on drug trafficking through our state. The best alternative to fight local drug trafficking, is hope that the Feds will take the case. If they do, local law will get 80% of the seized assets back. Do we want to use drug money to stop the drug dealers? Absolutely! The education thing was a decent idea but no locals are doing the work because there is no funding to do so. The Washington county k9 program is a joke. I got pulled over for what they said was speeding. Imposible since I had just turned the corner from the stoplight. I knew somthing was not up to standerd when …, who had been spotted everywhere I went that day (out of uniform) showed up with the k9 cop. They sent the dog around my car and after it went all the way around and waited for his next command the handler said “Speak ” and the dog did what he was told.woof. Then the cops said “our dog told us you have drugs in the car” the dog went inside the car and found nothing. But I was arrested for an a empty Chapstick, possession of a controlled substance. My plea bargain was plead guilty of speeding and we will drop the possession charge. Can you see how they make money on the plea bargain system? Just like your user name says, None of us are buying your story. I won’t even begin to pick apart the bull feces In your story. So the dogs were already trained. The money saved in training should’ve been available to buy vests. Otherwise the county is trying to make the program work on a budget that wouldn’t allow it to happen. But then again, thats nothing new for government, is it?